Green Surge is an extreme fat burner for those looking to change their lives. 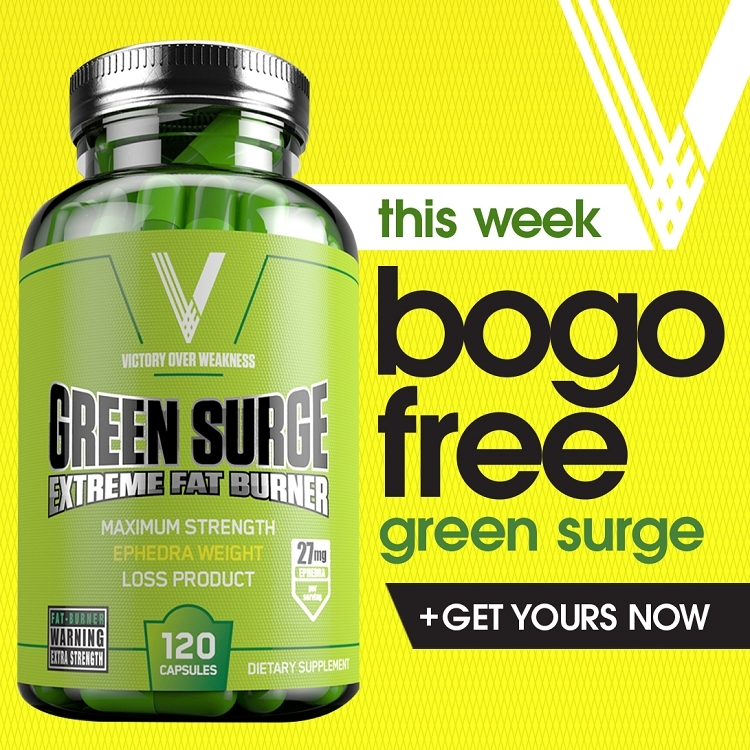 What makes Green Surge unique is a unique formula which has 27 mg of ephedra. This is a product is designed to help you get through your day. Green Surge is perfect for you if you are looking to suppress your appetite, enhance your mood, and energy. Be sure to check out the Green Surge reviews section to see how it has changed the lives of others. Green Surge has a serious reputation for helping people reach their goals and obtain their dreams. We guarantee your satisfaction, so don't hesitate. Act now to achieve your goals! This works great for me as a hunger reducer. Different ephedra compounds work differently for different people because we don't all have exactly the same metabolic enzymes in our bodies that process the distinct ephedra compounds. If you find one that works for you, stick with it! If it doesn't work for you, give it to a friend, it may work for them. If you have one that does work, it will probably work for your family members, since they share your genetics. Good luck! i changed my diet and have been exercising at least 3xs a wk for 2hrs each session or i go hiking. i have been taking this hoping to help increase my metabolism so i could lose some weight because its been so hard to lose 20 pounds in my 30s. I have not lost anyweight or seen any difference in size either. The only thing I have notice that it gives me a surge of energy for about 2hours from when I first take me capsule. I originally tried Red Volt from ASN the makers of Green Surge. My husband kept taking my Red Volt with him when he left for work it gave us tons of energy. So I picked up a bottle of green surge, since they say its good to cycle products. I lost 22 lbs with moderate exercise and dieting. The price is the lowest you'll find for an Ephedra Pill. I was going to try Lean & Hot or Green Stinger next ,but I don't see how it can get any better than green surge. A friend told me about green surge so i tried it. It kept me from eating and gave me that little extra push at the gym, but since then I have discovered better supplements. I enjoy taking lipodrene with ephedra, and Green Stinger. Very energetic formula. Cuts down appetite cegnificantly. And the most important it is trimming body fat really well. I had been a Stimirex user in the past but they were sold out when I needed to reorder. I'm not feeling the same level of adrenaline spike as I've been accustomed to but I think it has helped with some of the weight loss I've seen since using it. I'm sorry to say that I was very disappointed in this product. I really felt no energy increase at all. 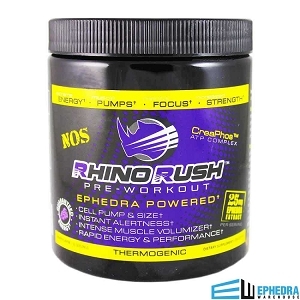 I am a bit sensitive to ephedra, so I know right away if it's the real deal. This product seems a light on the effects and is by far the weakest ephedra that I have ever taken. I have a slight jump in energy once I take it in the morning, but it does not curb my appetite or provide enough energy to last till my 5pm gym workout. I had to start taking another pill right before my workout to feel the effects again. All in all, I would have ordered something else had I known how this product worked. Well after 3 weeks of taking this i did loose 5 solid pounds. Of course with lots of exercise. your not gonna loose anything if your a couch potato. Doing the math you get 120 pills. 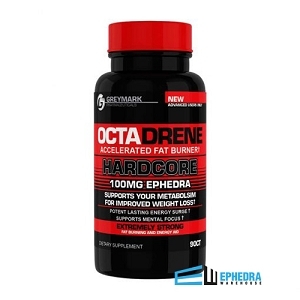 you only take ephedra products 1 month on and 1 month off. if you take only 1 pill a day as directed, this will give you approx. 8 months. So for the price, this is cheap! Great results. twice the ephedra as green stingers at less cost. constant energy all day. This product works GREAT!!!! It gets me through my workouts, and day.I will probably re-order, when the time comes.... Very satisfied!! Great on workout days. Also good use for break from that Ephedra product you really like. Great stuff constant energy to get through the day. I've already recommended this to my buddies at work. Gonna order more for sure. Great product, works better than Green Stinger! I love this stuff. It gives me soo much energy. Much better than other products I have tried in the past. Green Surge really helped me loose a lot of weight. Suggested Use: Take 1 capsule 2-3 times daily. Do not exceed 3 capsules in any 24-hour period. Never take more than 1 capsule at one.